It is a little known fact that the Tardis did the trench run on that Borg cube attacking the Millennium Falcon. 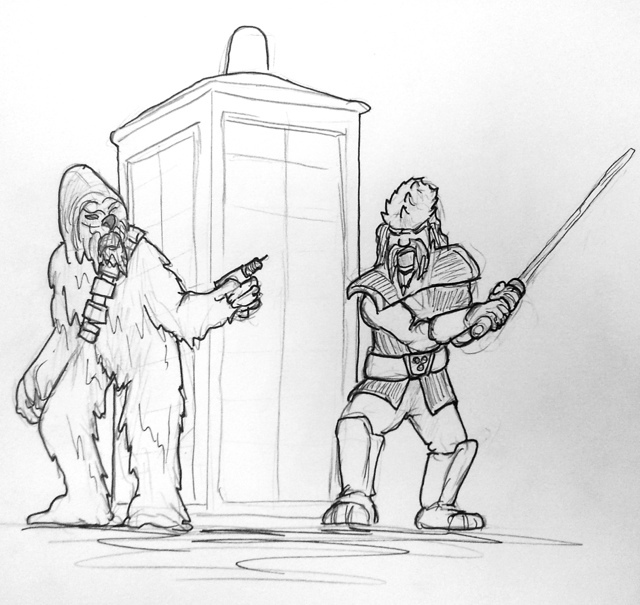 This entry was posted in Quick Desksketch and tagged star trek, star wars by Anthony. Bookmark the permalink.